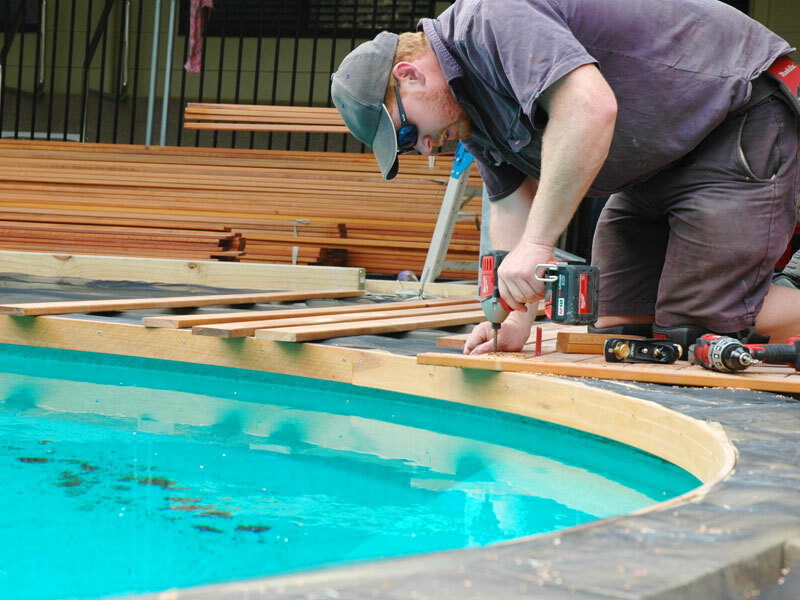 The standard coping around the top of the Belmont pool is a laser cut timber, which is designed to act as the last joist in your decking around your pool and will support your decking boards being laid directly onto the pool's top coping. 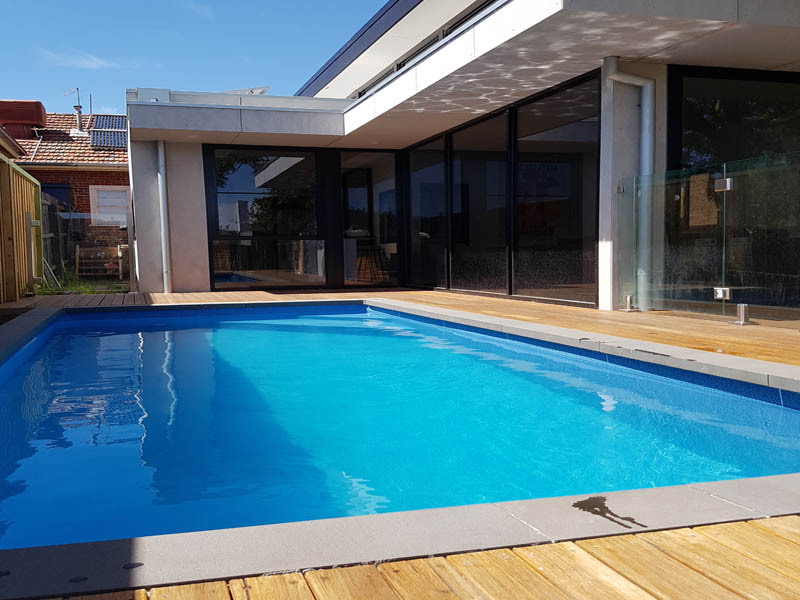 When you are able to fix your decking boards directly onto the top of the pool’s coping it gives your decking a seamless, superior finish and a beautiful resort feel with its low profile over the water’s edge. 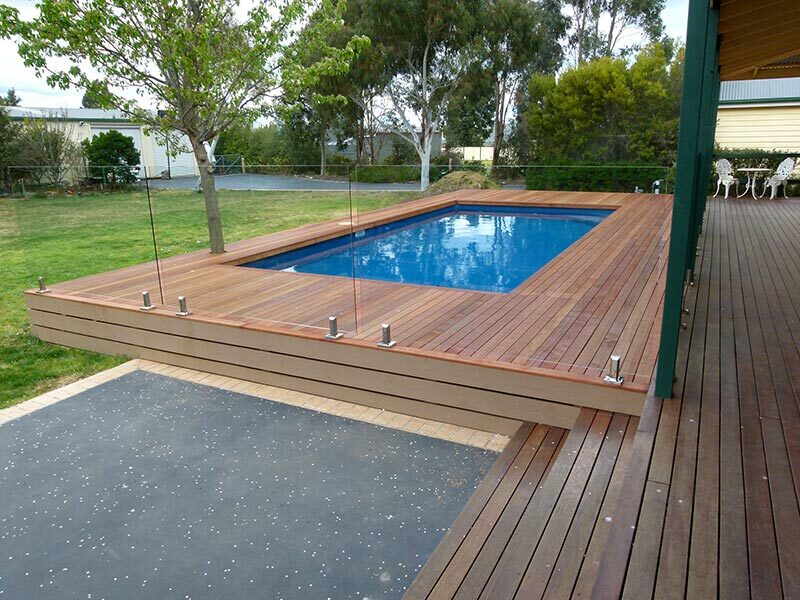 The strength of this pool design also allows you to use the pool support posts to support the decking bearers around the pool. 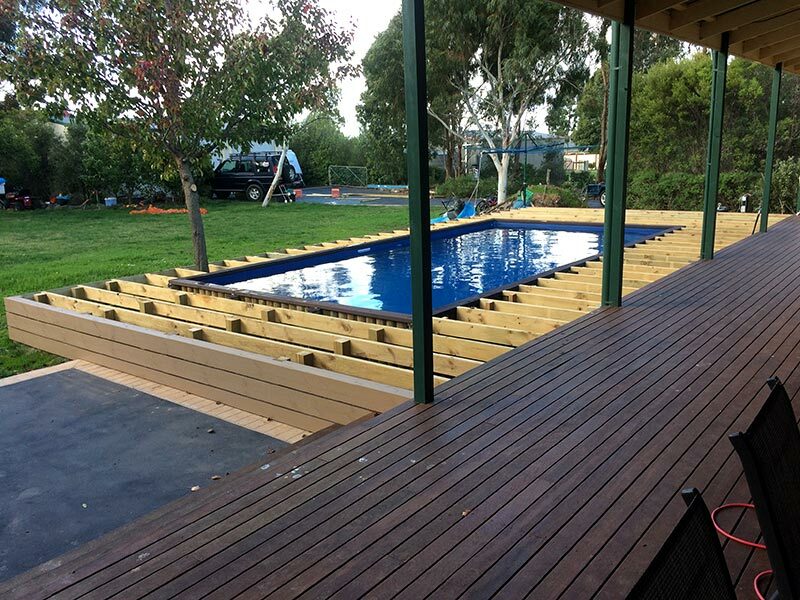 The ability for your pool to support your decking bearers combined with using the pool’s coping as the last joist in your decking will save you loads of time and money in the construction of your deck. 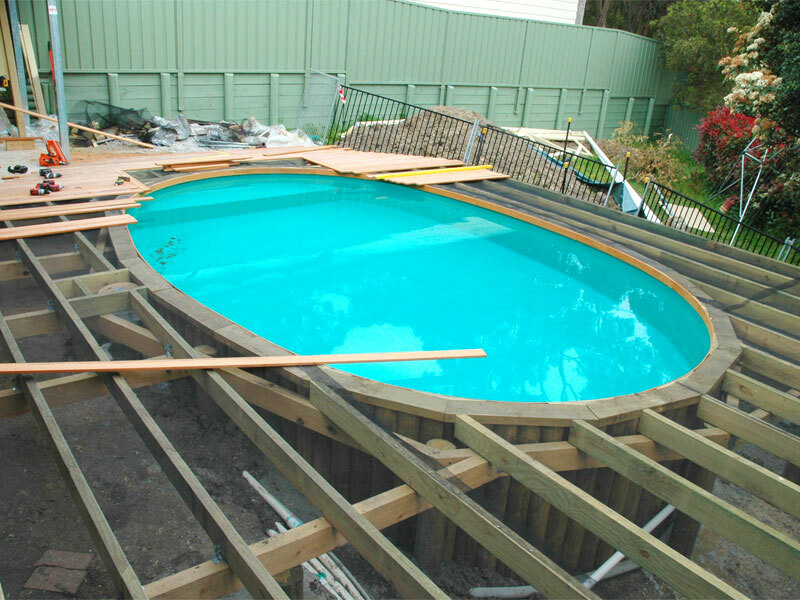 The standard coping around the top of the Brightwaters pool is a laser cut timber, which again acts as the last joist in your decking around your pool and supports your decking being laid directly onto the pool's top coping. 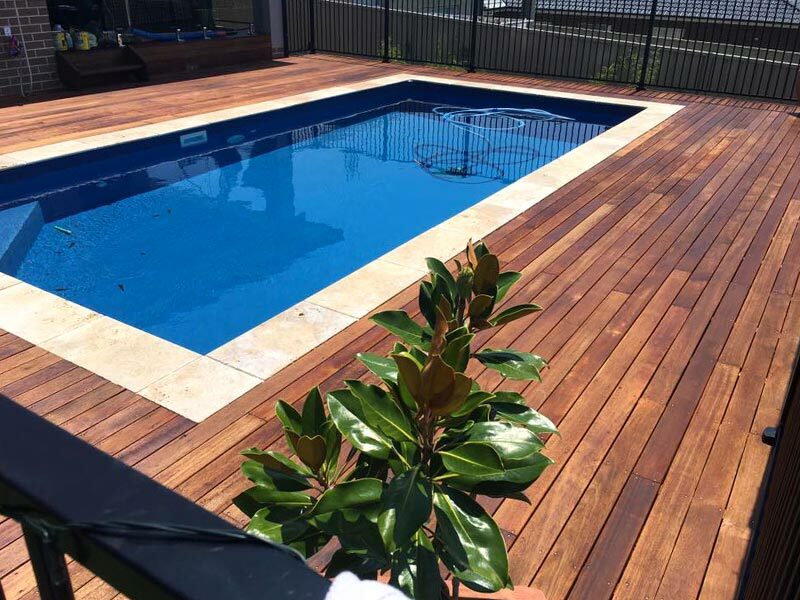 Fixing your decking boards directly onto the top of the pool’s coping it provides your decking a superior, seamless finish and a beautiful resort feel with its low profile over the water’s edge. 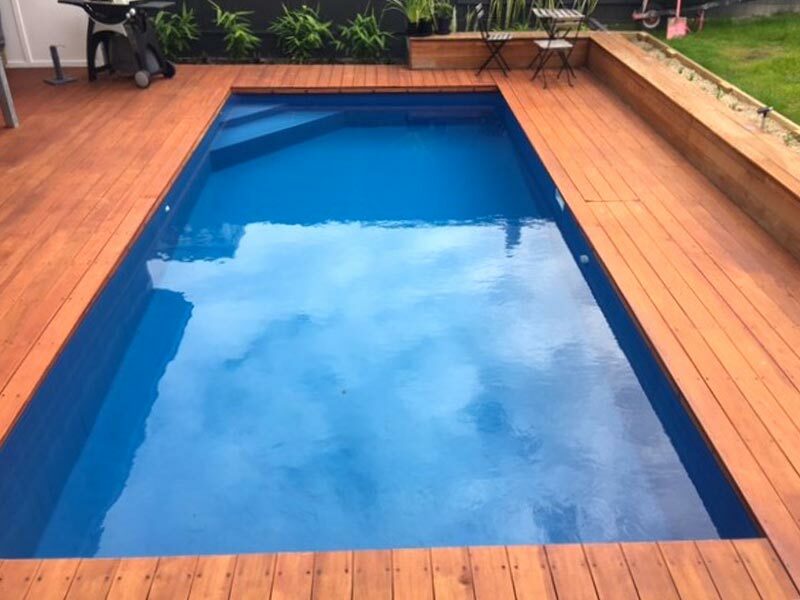 If you only want decking around 1, 2 or 3 sides of the pool, no problem, simply lay 2 or 3 decking boards over the coping of the pool on the other sides to create a uniform finish all the way around the pool. 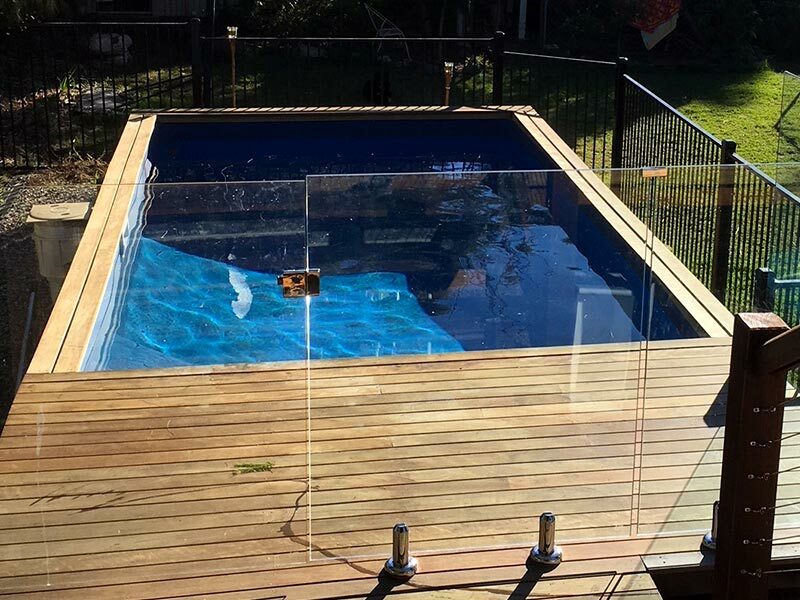 The strength of this pool design also allows you to use the pool support posts to support the decking bearers around the pool. 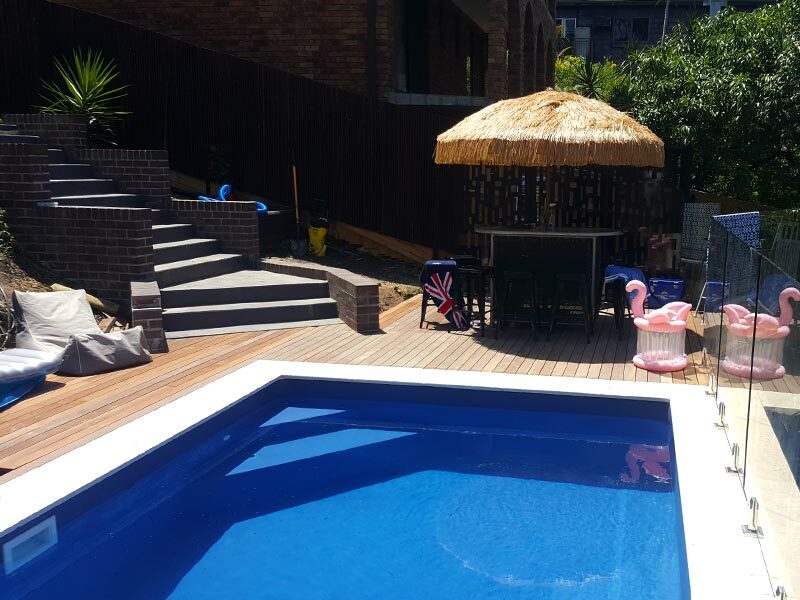 The ability for your pool to support your decking bearers, combined with using the pool’s coping as the last joist in your decking will save you loads of time and money in the construction of your deck, and there is no pool shape easier than our rectangle swimming pools to build a very professional looking deck around. 1) Lay pavers directly onto the pool’s top coping. 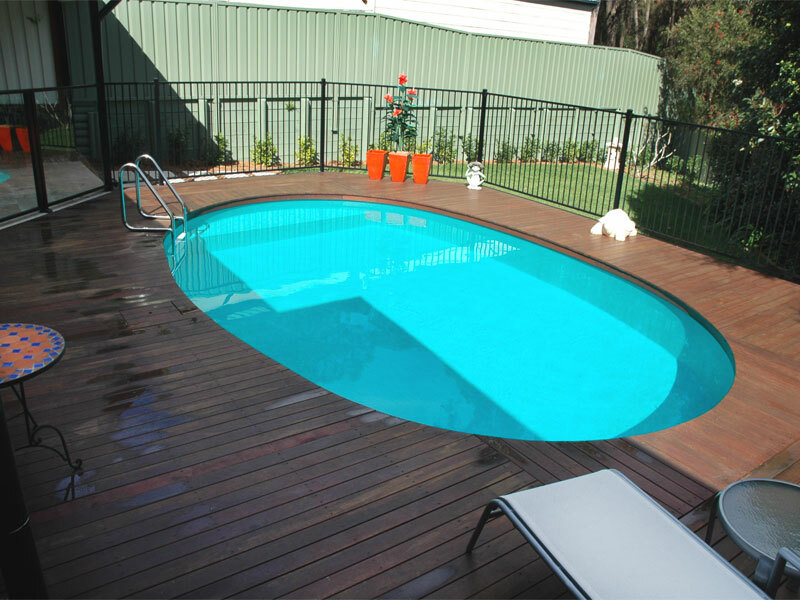 There is a few different options when laying pavers around your pool, if the pool is above ground, or you want to soften the look, you can lay a single row of pavers around the coping and then build decking beyond the pavers. 2) Continue the paving on around the pool. If the pool is going fully inground, then you can continue the paving around the pool. 3) Grass or landscape beyond the pavers. 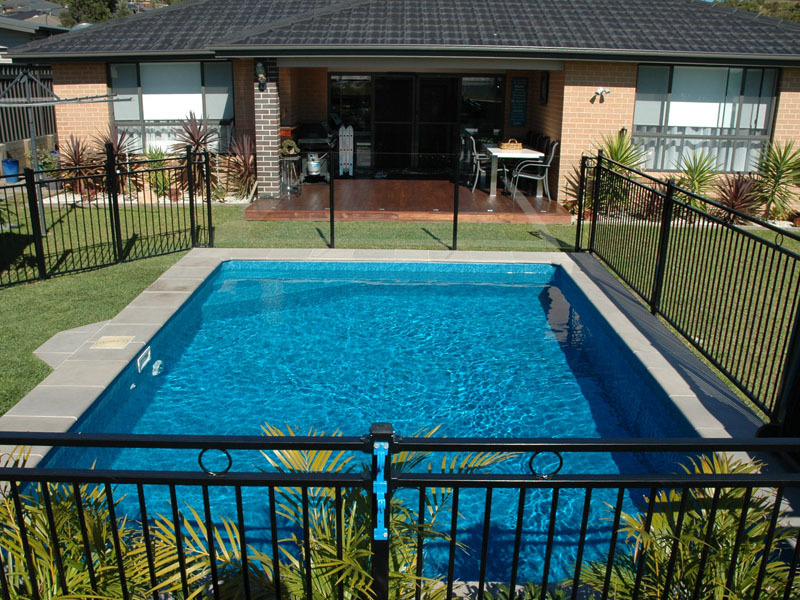 Soften the area and reduce costs by grassing or landscaping the area surrounding the pool. 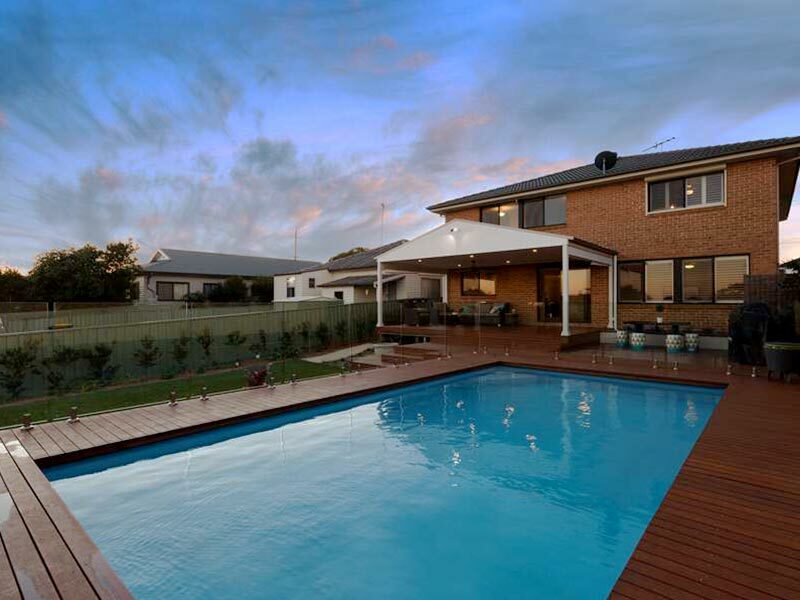 A top class professional finish is easily achievable with this pool design. 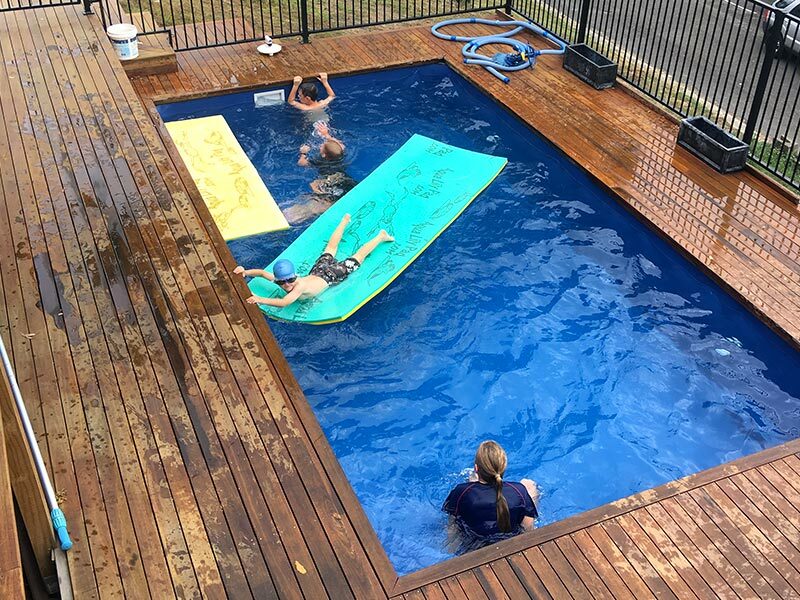 You can lay a single row of tiles or pavers around the pool and then decking beyond, using compressed sheeting laid over the coping and onto your bearers and joists. Then the tiles/pavers are glued directly onto the sheeting - the same as you would do for a patio or bathroom. If the pool is going fully in the ground then you can pour a small concrete beam around the pool and glue pavers down around the water's edge. 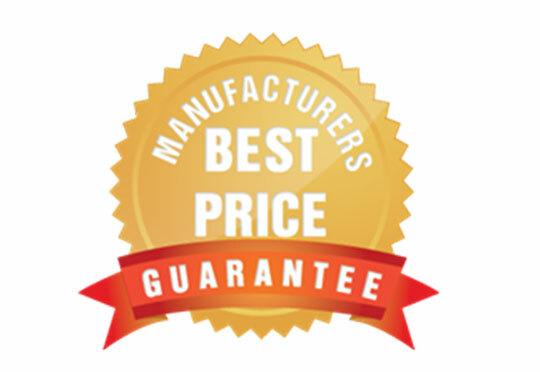 Both of these options provide you with a truly professional finish and give you an inground pool look you want without the huge cost. Examples of all of these different options can bee seen on our gallery page. 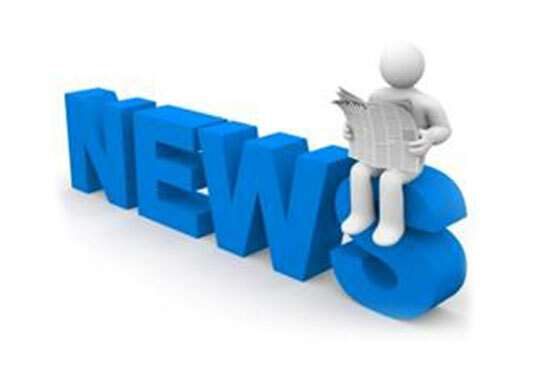 What if I need to change the liner in the future – no problems, all our pools use a lining receiver system. 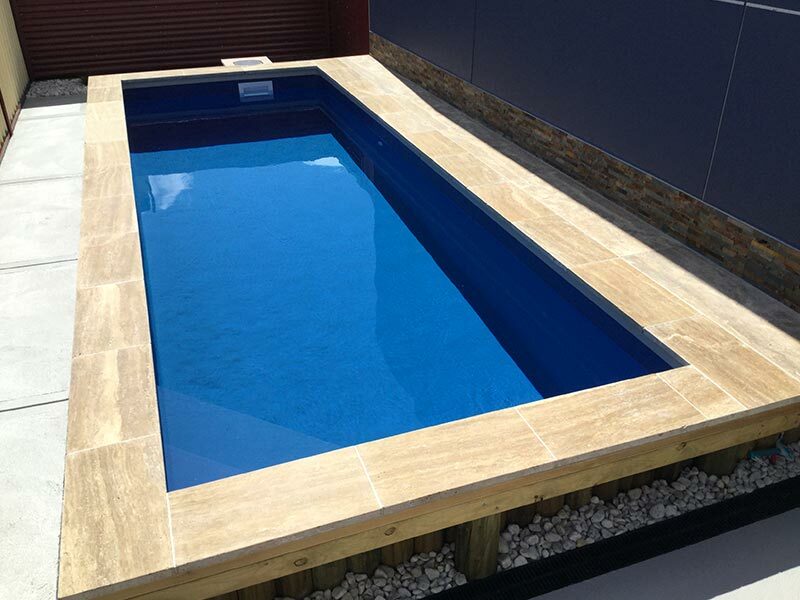 This means the pool lining simply clips neatly into the receiver just underneath the paver/decking, allowing you to easily change the lining in the future without disturbing the coping, decking or pavers around the pool.